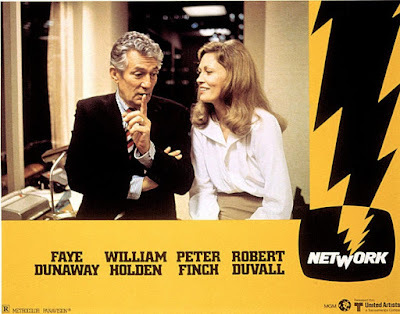 Network (1976). 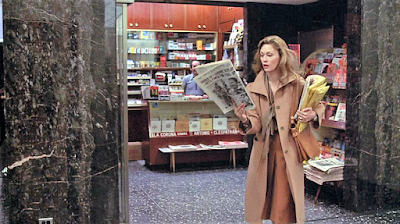 Paddy Chayefsky, screenplay; Sidney Lumet, director. 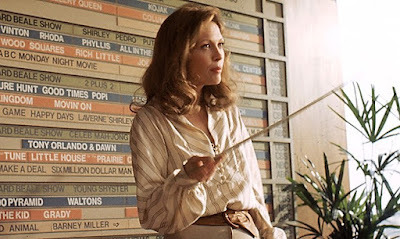 Starring Faye Dunaway, William Holden, Peter Finch and Robert Duvall. Winner of four academy awards. Network hasn't saved us from having to endure the first all-television buffoon president, but it sure sets him in the right context: outrageous behavior, roller coaster ratings, demented intensity of approval seeking, zero intellectual curiosity or empathy, total immersion narcissism. Welcome to 2017, already so well grasped in 1976. The most charismatic stars of Network are Faye Dunaway and Peter Finch. The latter's character is having a breakdown, while the former's is on the way up with ferocious vigor. Though not quite as horrible as the soulless ghouls and fools of DJ Trump's inner circle, she's moving in that direction. Network: then and now. Sequel: the internet.